Cholesterol is a soft waxy non-water soluble substance that our body readily produces sufficiently for the body’s needs. It is a type of fatty (lipid) substance found inside our body tissues and blood plasma. For transportation in the bloodstream, the cholesterol is coated with a protein called lipoprotein. The higher density proteins are called ‘good’ HDL (high density lipoproteins) and the lower density proteins are ‘bad’ LDL (low density lipoproteins). But, the LDL is really not the ‘bad’ cholesterol as it’s reputed to be. The “original LDL” in our body is good and necessary for building cell membranes, other cell parts, and a variety of essential hormones. This cholesterol ensures that babies born have exactly five fingers on each hand. Note this: The problems start when free radicals enter our body to oxidize these LDLs, turning it to ‘bad’. It is NOT the high cholesterol level that is responsible for heart disease. It is the inflammation (oxidation) of the blood that is the culprit. Research has revealed that half of heart patients had normal cholesterol levels at the time of attack. 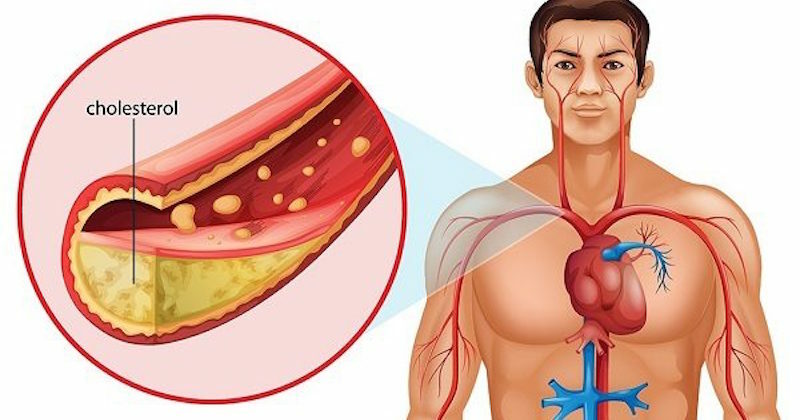 It is this inflammation and other factors that contribute to the arterial plaque build-up and hardening of the arteries, leading to heart attacks, strokes, and aneurysms. People with high and consistent intake of natural anti-oxidants can maintain a healthy cholesterol condition, as antioxidants help neutralize free radicals, preventing them from damaging tissues. Myth # 1: Eggs raise your blood cholesterol. A study was done to a group of healthy people with normal blood cholesterol levels. Each was given two eggs a day as part of their normal diet for eight weeks. At the end of the study, the results showed no increase in blood cholesterol level at all. Read why eggs are one of the healthiest foods on earth. Myth # 2: Low cholesterol is good news. Studies in Japan found that while high levels of cholesterol are associated with heart diseases, low levels actually contributed to strokes. They also found that when cholesterol levels dip, rates of depression, suicide and violence rose! This condition is usually silent and attacks quietly when it is too late. Sufferers would not know that their cholesterol is at an unhealthy level unless they do a blood test. The plaque build-up in arteries caused by inflammation of the blood cholesterol will lead to hardening of arteries. Other conditions that may arise around this unhealthy environment are angina, diabetes, high blood pressure, and myocardial infarction. Many people still do not understand that this condition is really an inflammation of the blood, where the blood cholesterol gets oxidized by free radicals, smoking or excessive consumption of trans-fatty acids or triglycerides. The higher the level of LDL cholesterol, the higher the risk of oxidation, which led researchers to report that higher cholesterol = higher risk of heart diseases. 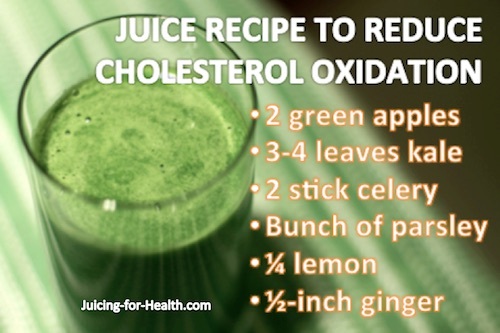 Free radicals are the main culprit in oxidizing the cholesterols, making them inflamed. They cannot be avoided as they are in the environment, especially if we live in urban areas. Free radicals are quickly formed in our daily city-living through stress, overwork and tired body, excess sunlight, water or air pollution, antibiotics, medications, growth hormones in animal products, pesticides, herbicides, and many more. Not only will the existence of these harmful elements cause damage to the body, non-consumption of the much needed antioxidants also play a contributing part. Wise nutrition is the best way to maintain a healthy cholesterol condition. By this, it would mean changing your lifestyle, know what foods to avoid, and what to take more of. To start with, take up exercise to lose some weight (but beware, excessive stressful exercise also contributes to oxidation of your blood cholesterol). Limit your intake of the wrong kind of fats, such as from vegetable oil, or dairy products. Instead, eat more of the healing fats such as that from cold-pressed oils of flaxseed (not for cooking), olive, coconut, and sesame seeds, just to name a few. Stay away from deep fried foods because of the transfatty acids that speed up oxidation on your healthy cholesterol. Devour fruits and vegetables for not only the fiber, but also for the abundance of antioxidants and nutrients that help neutralize free radicals. Also increase consumption of omega-3 fatty acids that can be found in flaxseed oil, salmon, tuna, mackerel, herring, etc. Omega 3 fatty acid is one of the best foods that help reduce oxidation of cholesterol and inflammation. Include in your diet, vitamin B12 which can be found in leafy greens, wheat germ, beans, skim yogurt, lamb, turkey liver and most fish. Vitamin E helps to improve circulation and vitamin C that also helps fight carcinogens (free radicals). Foods that are high in antioxidants prevent oxidation of cholesterol. Other foods to include in your diet: banana, avocado, prunes, raisins, mushrooms, bilberries, blackberries, lentils, brewer’s yeast, algae, peanuts, brewer’s yeast, onions, eggplant, sesame seeds, etc. Finally, quit smoking. Need we say more? Read about the Miracle “Natural Statin” Nutrient That Works Better. If you are frequently exposed to free radicals, increase your antioxidant intake that can be found in a variety of fruits and vegetables. When you’re not juicing, eat them whole. Aim to include all these suggested foods in at least half of your food intakes daily, as fresh (raw) as possible. There are so many fruits and vegetables that are rich in antioxidants. You will recognize them by their bright and deep colors. Not all are listed here, but the highest amounts are derived from berries. The following are some suggestions of high antioxidant foods. Also, add two or three cloves of garlic to each of your recipes where possible. In fact, almost all fruits and vegetables are suitable for naturally lowering or reducing the oxidation risks of cholesterol. Go for yellow-orange-red-colored produce, you can’t go wrong. 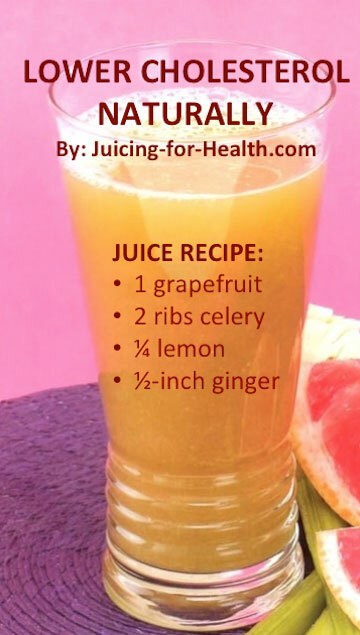 Learn how to make great-tasting green juices. Thanks for the info and it would surely help me fight high cholesterol. Hope to have downloadable copies of your recipes.